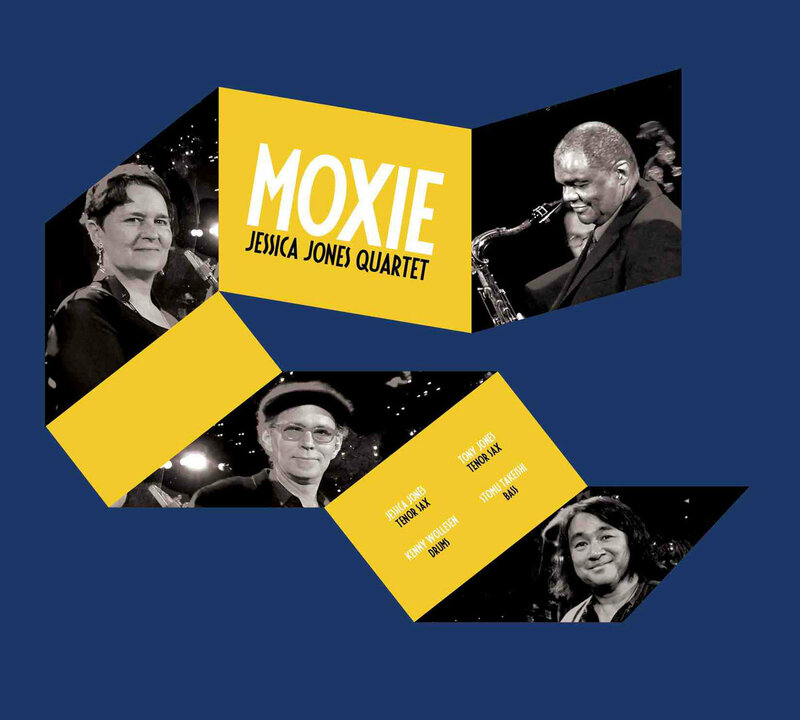 Moxie is both an extension of tenor saxophonist Jessica Jones' previous work and a glimpse back to an earlier point in her career: she continues to explore the possibilities inherent in a piano-less quartet with a two-tenor front line while reuniting with a rhythm duo that she worked with in the '80s—bassist Stomu Takeishi and drummer Kenny Wolleson. The music that she makes here, with that team and fellow tenor/husband Tony Jones, is predictably unpredictable, grounded yet far-reaching, and irresistibly intriguing in its unfolding. The album opens with the true-to-name title track—a funky and off-kilter composition that periodically dissolves, only to be brought right back to form with a swiftly executed rhythmic figure. The tenors move along with a combination of patience and attitude, enhancing the underlying feel with there cool-headed, hot-blooded moves. "In A Sentimental Mood" follows, both lining up with and defying expectations. 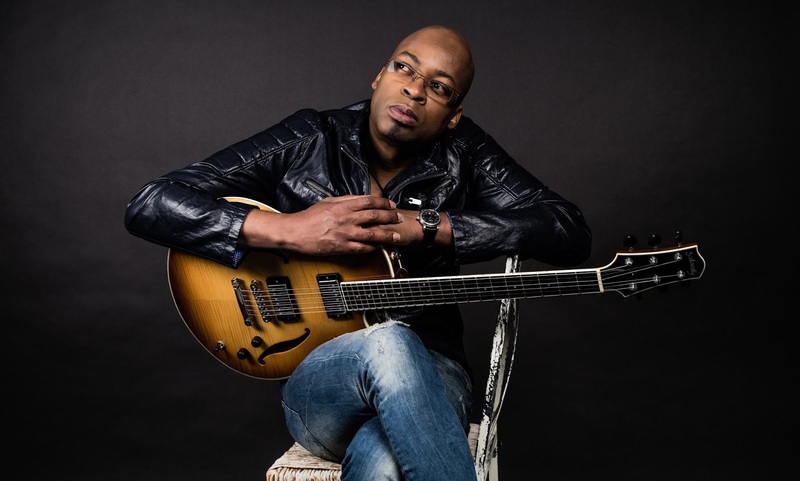 The song largely adheres to its well-worn melodic and harmonic paths, but, thanks in large part to the way the rhythm section dissects the beat, it's subtly reborn in three. Headier sounds appear on the Jones-Jones penned "Haitian Cotillion," a number that's both insistent and open in its delivery. It's the first piece to really highlight this group's penchant for free thought married to rhythmic specificity. The follow-up—"Soft Target"—looks at the same topic from a different angle. It opens in uncertain lands, but the tenors soon find their footing(s) atop Wolleson's steady eighth note groove. They're free to roam around as his drums and Takeishi's rubbery bass lines hold things in place. The second half of the album starts with Tony Jones' "Dear Toy"—a sonic search for meaning—and closes with three numbers from the leader's pen: "The Clapping Song," an odd-metered vehicle that opens on a Takeishi solo over handclaps before settling into the saddle; "Tag On A Train," a piece that coalesces, confounds, and then connects on a deep spiritual level; and "Manhattattan," a cheery sendoff with some surprising twists of form. 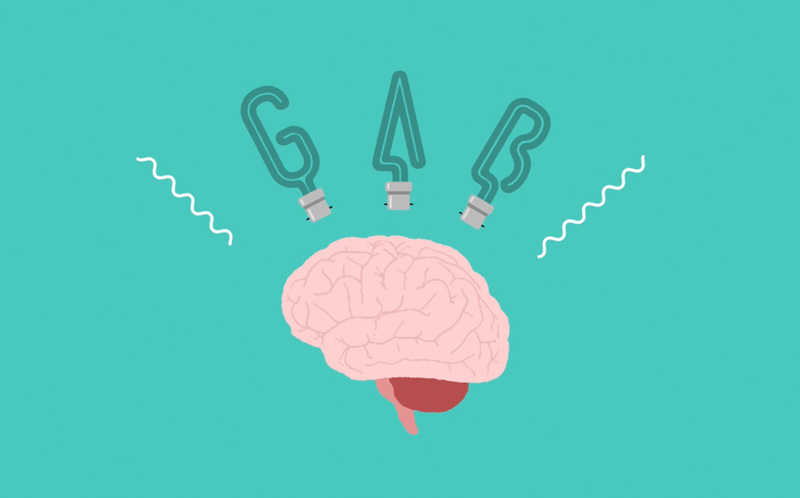 It's the perfect ending to a program that's both unrestrained and structurally sound. A bass player as band leader is still quite uncommon. 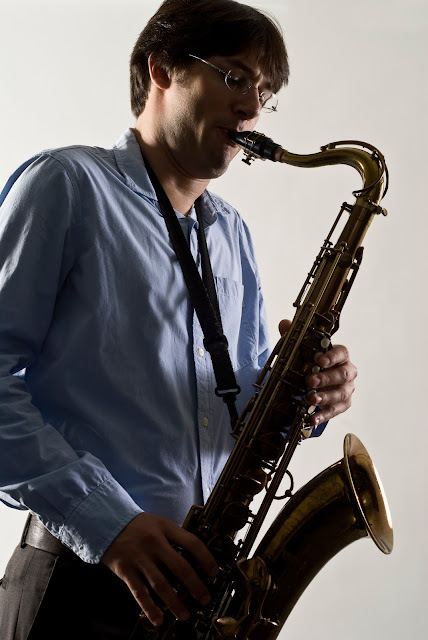 Arne Huber proves that there is no musical reason for this. 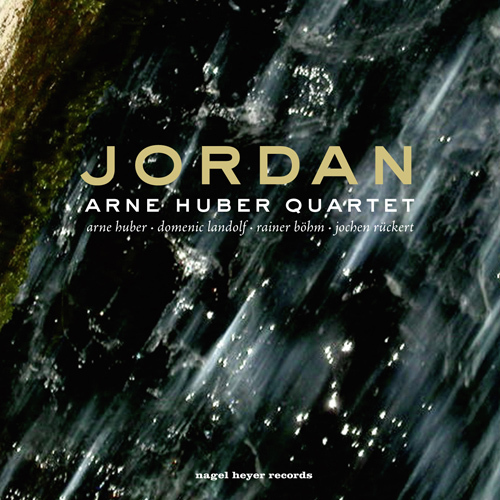 “Pearls” is the second album of the Arne Huber Quartet, after “Jordan” (2009). 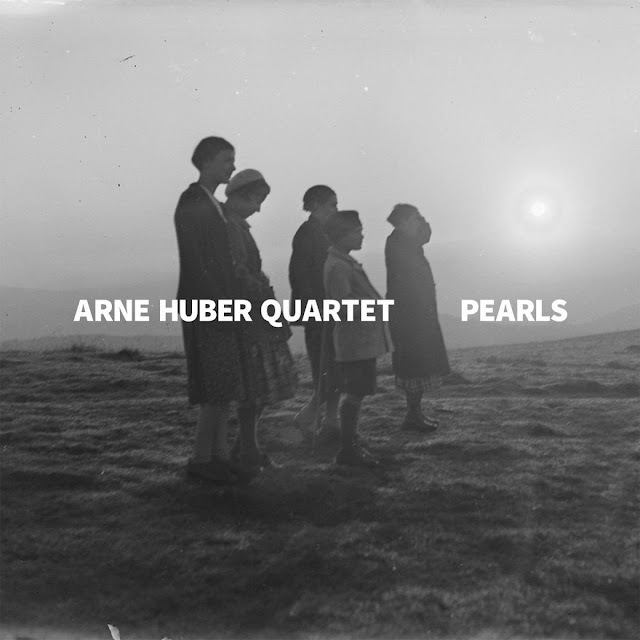 On “Pearls”, which consists mainly of original compositions by Huber, he again explores the depth of modern jazz, with great skill and a lot of musical sensitivity. 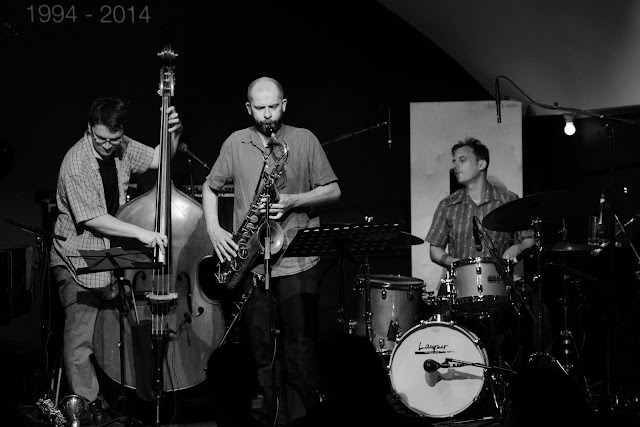 The bass player is joined in this endeavour by his band colleagues. Nach der Debut CD »Jordan« stellt Arne Huber mit seinem 4tett die zweite CD »Pearls« vor. Durch seine Kompositionen und sein unaufdringliches Spiel prägt er die außergewöhnliche Stimmungen dieser Musik. Mit seinen herausragenden Mitmusikern gelingt es ihm so eine Atmosphäre fern von Effekthascherei zu erschaffen. 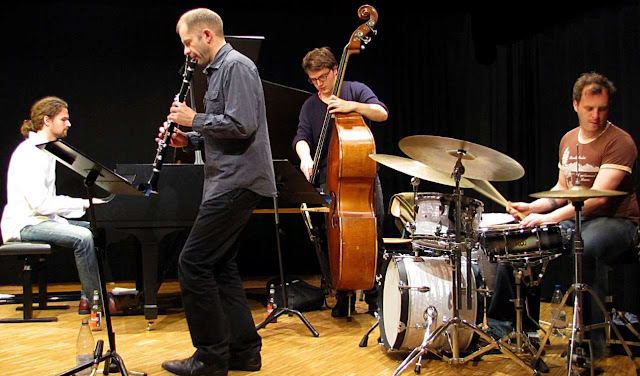 Huber, 1977 in Offenburg geboren, absolvierte 1997 bis 2001 ein Jazzstudium an der Musikhochschule Mannheim bei Thomas Stabenow, dem er 2002 bis 2006 ein klassisches Kontrabassstudium an der Musikhochschule Freiburg folgen ließ. Arne Huber lebt in Mannheim und in der Nähe Freiburgs. Sein Können und seine musikalische Versiertheit machen ihn zu einem viel gefragten Bassisten. Huber ist unter anderem Mitglied des Trio »Böhm-Huber-Daneck«, mit dem Quintett »L14,16« gewann er zwei Mal den »Vierteljahrespreis der Deutschen Schallplattenkritik«. Er spielte u.a. 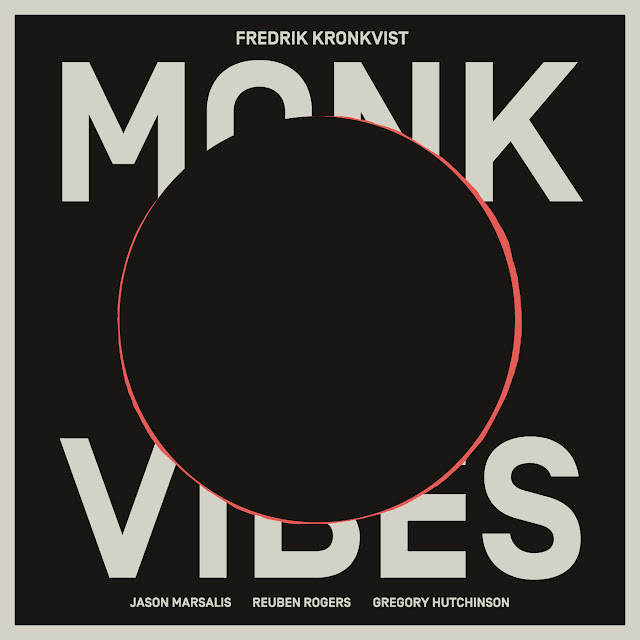 mit Ingrid Jensen, Johannes Enders, Tony Lakatos, Randy Brecker, Adrian Mears, Julian Argüelles, Paul Heller, Ack van Rooyen, Bob Degen, Nils Petter Molvaer und Julien Lourau. 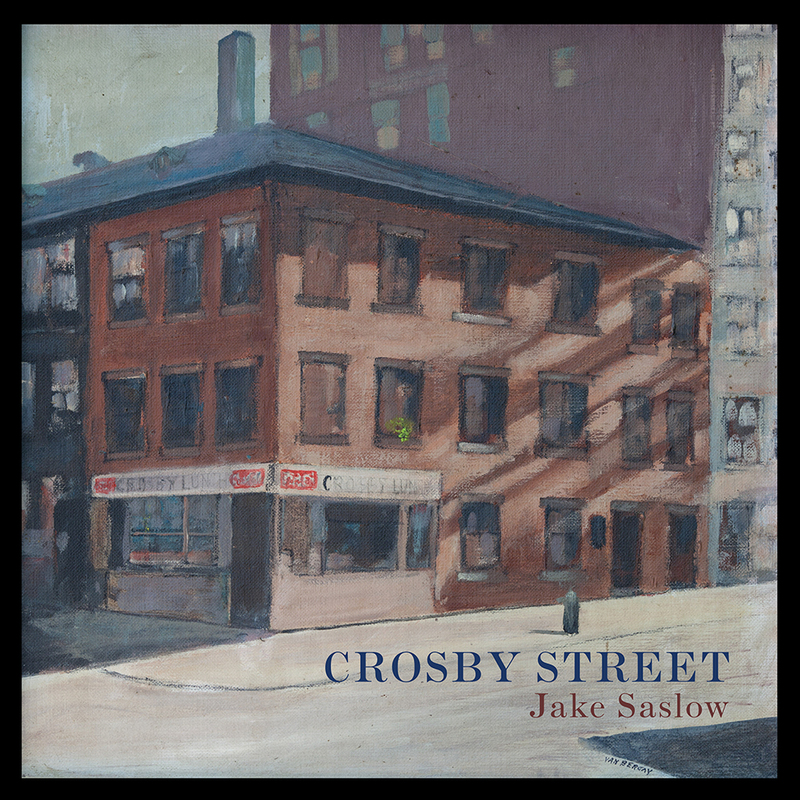 One of 2011's many notable debuts is saxophonist Jake Saslow's Crosby Street, an ode to the street in New York's iconic SoHo, where the musician's formative years recalled the neighborhood's sights, music, and people. 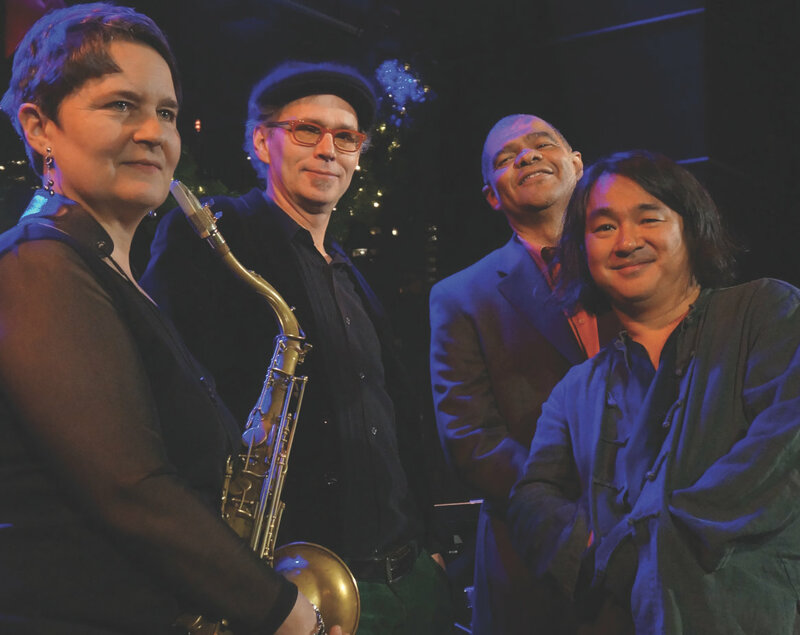 An analogy is formed between the music and the community, one that speaks of a distinct personality carried in Saslow's full-bodied horn that's filled with lyricism and communication interpreted by peers and fellow-New Yorkers that include guitarist Mike Moreno and pianist Fabian Almazan. The seven pieces visualize an assortment of aural dreamscapes and tempos, supported by bassist Joe Martin and drummer Chris Persad Group, The Dautaj, Marcus Gilmore , Coquito, Fri, as the soloists deliver lively movements in Saslow's "Early Riser" and "Taiga Forest." But it's the chord-less trio rendition of Horace Silver's "Lonely Woman" where Saslow's sepia-toned notes give a truer indication of his capabilities. Its depth and detail exudes not only knowledge of the source material but also a fresh statement. 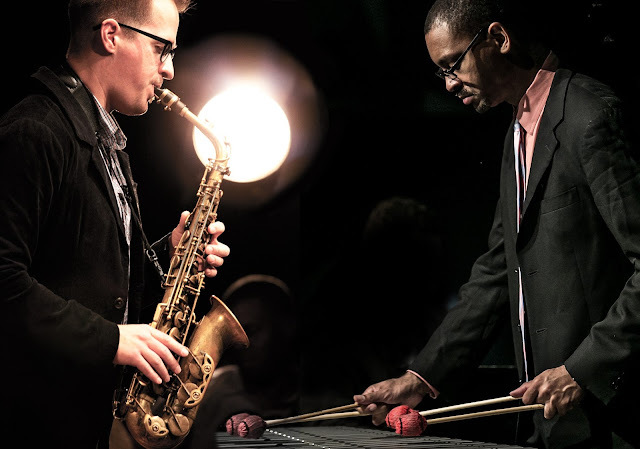 "Lucky Thirteen" is the smoothest piece in set with its street-savvy cadence and elastic solos, whereas "Until Next Time" has the most personality. With a rich sonic quality it begins slowly with Saslow's sumptuous horn, before the melody changes and swings seductively, carried by Moreno's unique phrasing. It's got a certain ambiance and personality—just like a vibrant neighborhood, the essence of what Saslow's debut portrays. 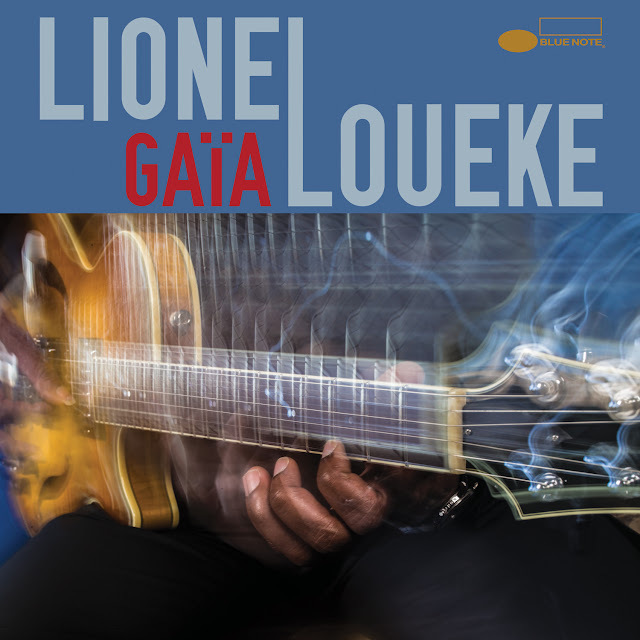 Guitarist Lionel Loueke chose to record GAÏA—his remarkable rock-infused fourth Blue Note album—live in the studio with an intimate audience in attendance. 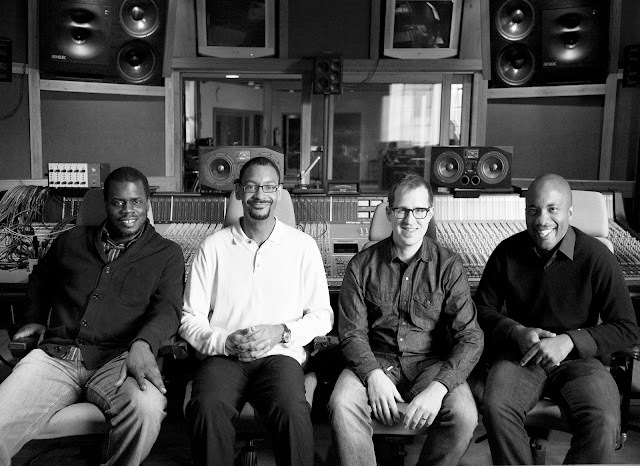 The purpose was to achieve a raw energy and reach a musical essence, and to that end he reunited with the two musicians who accompanied him on his 2008 Blue Note debut Karibu—bassist Massimo Biolcati and drummer Ferenc Nemeth—a simpatico trio that first formed when the three attended the Berklee College of Music in Boston together in the late 1990s. The musical dialogue on the album—which was produced by Blue Note president and GRAMMY-winning producer Don Was—pertains to the nature of the Earth and man's effect on it, an urgent message at a time when the warning signs of global warming have become undeniable. 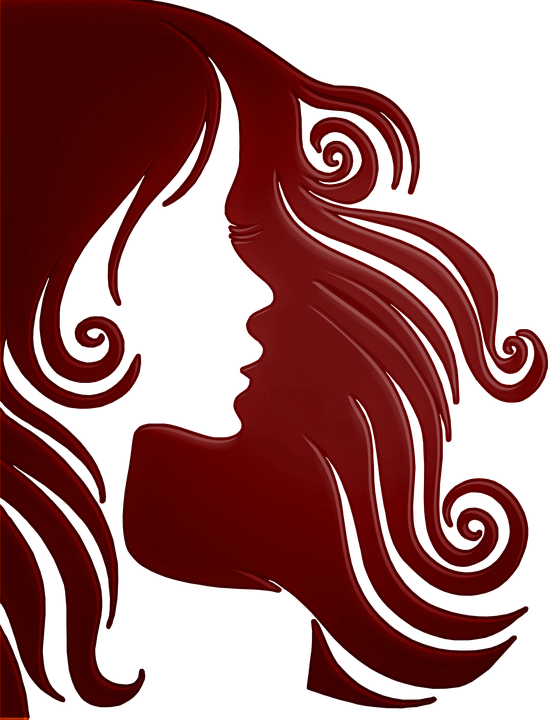 In Greek mythology, Gaïa is the personification of the Earth, the mother goddess who birthed the planet and the entire universe. "She would be angry,” Loueke states bluntly. “We have not taken good care of her child." “’Sleepless Night’ could also have been titled ‘Day And Night’” says Loueke. “There are two movements—one in a major chord, the other in a minor chord. I play the whole intro on one string, imitating the sound of the gimbri,” he explains referring to the lute-like African instrument. The 19/4 time signature keeps the song bubbling. 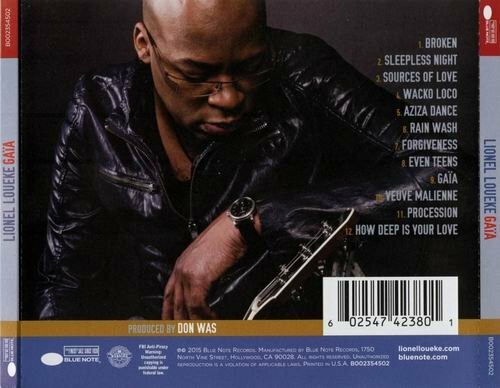 “Rain Wash” is an aural equivalent of a cleansing rain. Played on acoustic guitar and bass it is supported with a wave-like flow of cymbals and brushes on the drums before ending on a slight dissonance.